Today we are featuring the stunningly understated and texture-rich handcrafted jewellery collection, The Idylls, by RYHN. Each piece is meticulously handcrafted in studio by designer and metalsmith, Kathryne Radburn. Expansive, raw Canadian landscapes and Roloff Beny's photo book, To Every Thing There Is A Season, were the inspiration for the sculptural designs of this softly amorphous, simple and dark collection. Experimenting with an aesthetic that embraces the natural properties of metals and gems, each piece of jewellery is textured to give the elegance of wear and age of a treasured heirloom. "I’m a metalsmith by trade, but I’m very much inspired by art and the natural world. The intersection of the two - that balance - and how it can influence jewellery is what I find really exciting. In my studio I was experimenting with shapes and raw textures, collecting objects and artifacts from places that inspired me like various tree barks from the woods, a barnacle covered rock from the beach. I also kept going back to this Roloff Beny photo book To Every Thing There Is A Season. I found I had a longing for the landscapes in the photographs and the idea of these places became romanticised in my head. Craftsmanship and an attention to detail in the creation of every piece, is very important to me. As is the story behind the line. The inaugural collection from RYHN, The Idylls, is named for my experience of these landscapes, so vast and beautiful. I would long for these places or the idea of these places, and it inspired me to translate them into texture - to make patterns which I could put onto jewellery. 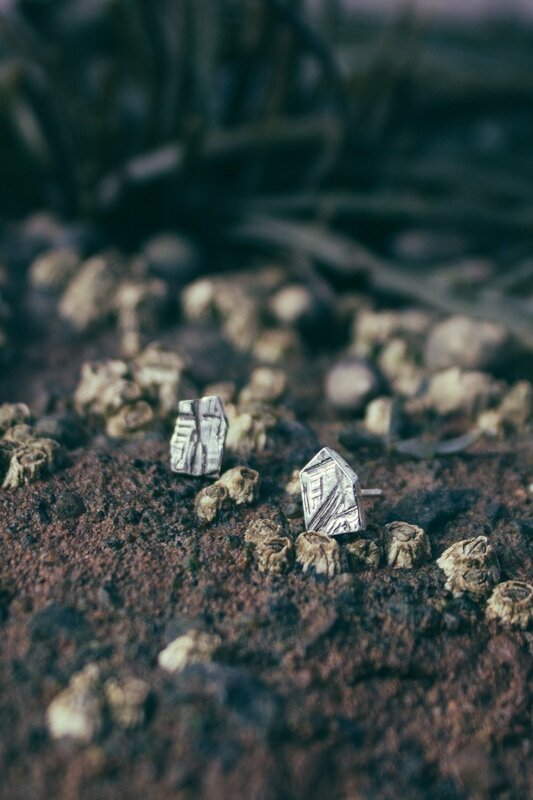 So from a distance the piece has a minimalist, timeless shape, but close up it’s a miniature wearable landscape. The textures in the jewellery, inspired by rugged, nostalgia-filled Canadian landscapes, both real and imagined, are an analog for this raw, romanticised emotion."